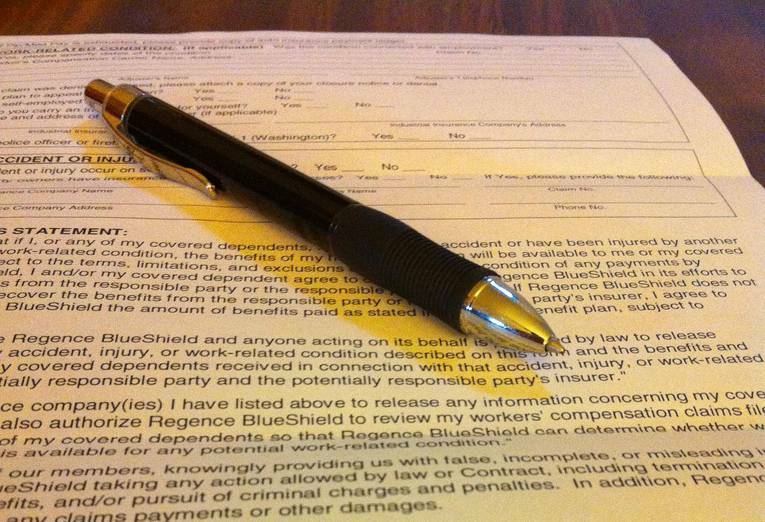 This post contributed by Esurance, sister company to Answer Financial. 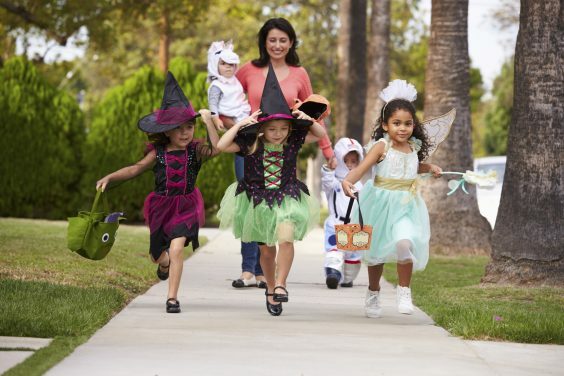 It’s that time of year again when the streets will soon be filled with little Ghostbusters and Super Girls, heading out to trick-or-treat. As a parent, you’re definitely thinking about how to protect those kiddos as you trek around. 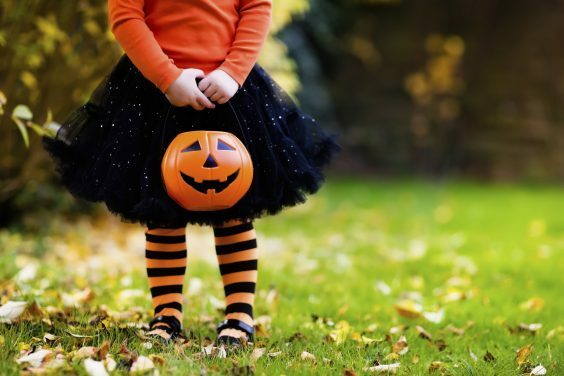 Read on for some boo-tiful safety advice that will help the “walking parent” keep everyone safe. Choose face paint over masks. The shifting eyeholes in masks can make it challenging to see, so face paint is a much safer (albeit messier) choice. If your child is wearing a skirt or robe, check the length to make sure they won’t trip. Incorporate a lighted element to the costume if you can, such as reflective tape or a headlamp, and/or offer a flashlight. You can’t emphasize this enough: Walk, don’t run. You may want to institute a consequence for a runner, such as holding a parents’ hand. (And it’s a win for you: You get to hold their hand! Institute a buddy system, since it can be hard to stay with the group if it’s big. Remind them to be extra careful about driveways and parked cars. Hopefully most people will be in for the night, but it’s smart practice to teach kids about white back-up lights and to always glance at the cars in the driveway before crossing. Tell them not to eat treats while out and about. While we’re not as worried about the “razor blades in apples” of our childhood, it’s still wise to inspect all the treats in a lighted room when you get home. This is particularly important for kids who might have allergies — even if a bar doesn’t appear to have nuts, it’s a good idea to check the ingredient list. Plan your route carefully. Choose a neighborhood with ample sidewalks and street lights. The best bet is to plan an out-and-back route — rather than a loop — hitting one side of the street going one way and the other side going the other way. This strategy allows you to get home more quickly if little legs get tired. It’s always easier to add more stops if you’re not finished than get too far away from home and wish you were closer. On that note, watch your time and double back if the route is taking longer than you had planned. Count heads as you move from house to house. It can be hard to tell if another little ghost has joined your group, so call off names and have them respond. Model good behavior by putting the smartphone away (after you’ve taken a couple quick pictures and posted them to social media, of course!). Save your scrolling and liking for when you’re home and stay attentive to what’s around you. Consider options other than neighborhood trick-or-treating. Many schools, churches, synagogues, and community centers offer fairs or “trick or trunk” events where everyone gathers in one spot rather than going from house to house. And, if you’re out driving, be more cautious than ever! 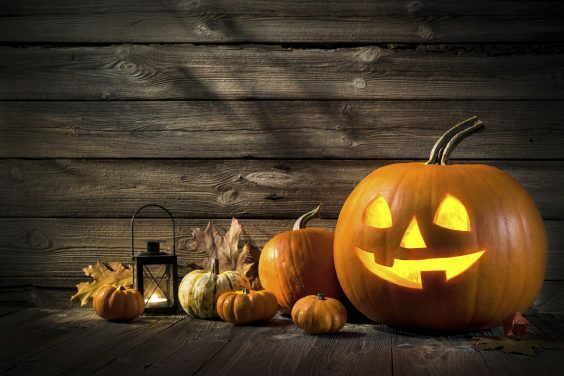 For the most spook-tacular Halloween, make sure that you have safety precautions top of mind. Your little guys and ghouls deserve it.